Started off by stripping all the beds and gather all the dirty clothes and headed to the laundromat, that took over two hours, after dropping the laundry off at home, I had to go to the grocery store, then to dollar tree, that was another two hours, my grandson is iver to my niece house for the weekend, so I grab a 8pc. bucket of chicken from Giant Eagles because there will be no cooking today. 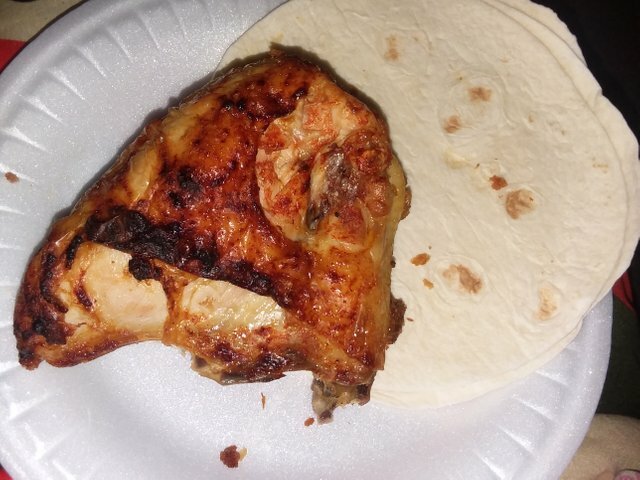 Baked chicken breas with flour tortilla.